It may be a challenge to keep up with web design trends, as they come and go with lightening speed. On the web, you can find loads of content related to this topic. Different bloggers mention different trends and call the same trends in different ways, that’s why you’ll have to do some research to figure things out. But there’s also an alternative, less time-consuming solution. Go to the Monster post with an all-inclusive collection of 60+ web design trends of 2016. Based on the in-depth analysis of 70+ resources, it can be your one-stop place to get all the necessary info about this topic. To let you find the necessary aspect faster, this tremendous roundup is divided into 9 categories. Check them out below. Layout. This category contains layout-related trends including split screens, blocks grid, card layouts, vintage style, material design, geometric shapes, no header / footer, and much more. Imagery. Here, you can learn about wise use of visuals, namely single images, natural stock photography, full-screen background video, vibrant custom illustrations and iconography. Animation. Want to make your website pages livelier and more engaging? Find out how 3D and video backgrounds, cinemagraphs, micro experiences, and other trends can help you. Scrolling. In this category, you can choose techniques to optimize your page scrolling. To name some of them, it’s worthwhile to mention long scroll, parallax, and scrolljacking. Usability. Running a user-friendly site is a must for customer retention. Learn how to take advantage from responsive design, proliferation of UI patterns, passive aggressive pop-ups, live product previews, automated task runners, and more. Loading. There are also a few tricks to accelerate page loading, e.g. lazy load, preloaders, and “blur up” method. Designer’s Toolkit. Do you wonder what tools are widely used in2016 besides Photoshop? The roundup has a separate category for them. They include Sketch app, collaboration tools, browser-based prototyping tools, etc. Futuristic Forecast. The last category has a curious forecast about wearables and augmented vision gadgets. 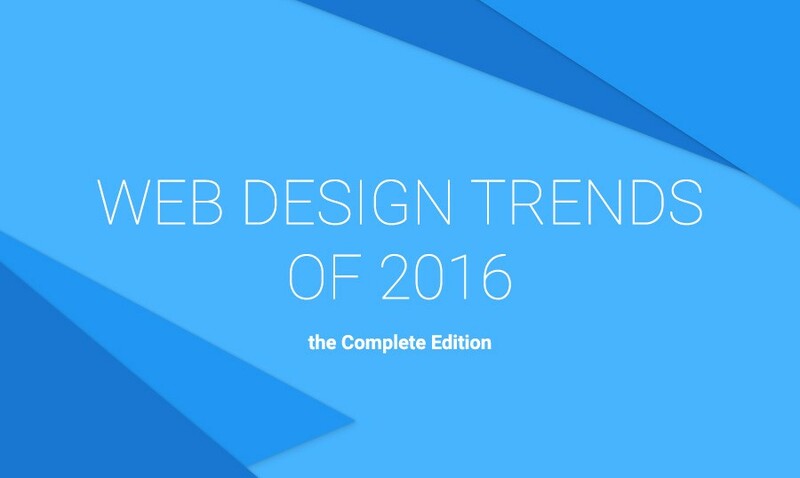 Such a thought-out categorization makes it easier to explore 60+ web design trends to follow in 2016. Visit the Monster post to learn about each of them in detail and choose the most suitable ones to upgrade your resource. Keep in mind that running a trendy site will help you stay a step ahead of your competitors. This entry was posted in Usability, Web Design. Bookmark the permalink.